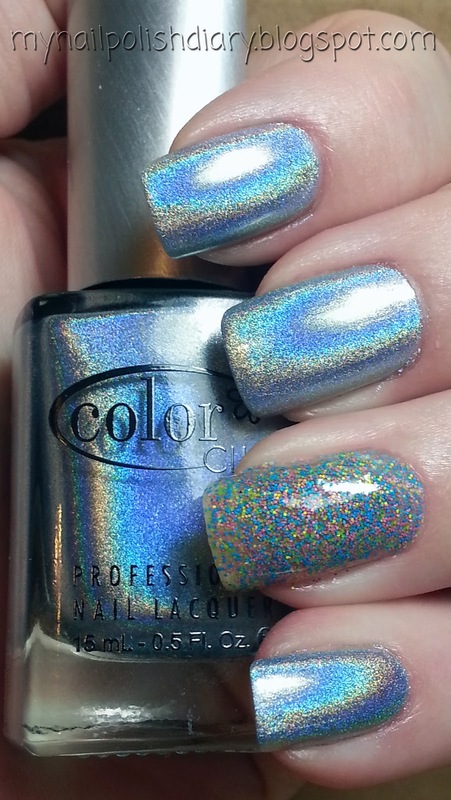 Color Club Blue Heaven is from the just released Halo Hues Collection. It's actually a blue I can wear without having lobster hands. 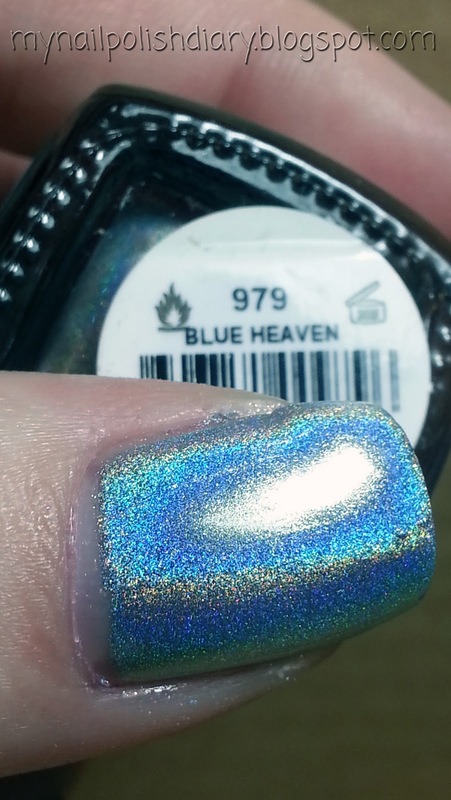 I find holographic blues to be more compatible with my skin tone. As a rule I can't wear cool colors well. I'm glad I can at least wear blue this way. I really love blue polish. I used indie seller Nail-Venturous' Pinkerbell for my accent. Boy did I lem this one for a while! It was SO hard to get my hands on it. So happy I finally have it in my collection. 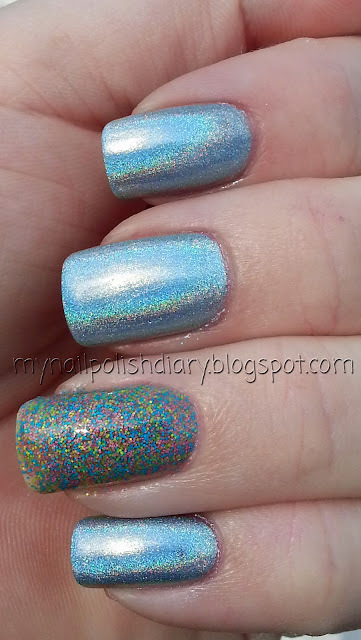 Application for the CC Holos was good. I was in a hurry so I used SV top coat with these and I feel like it dulled the effect a bit. But it still looks amazing.I NEED a QDTC to use with my holos. I think I'm going to try SH Diamond Flash. 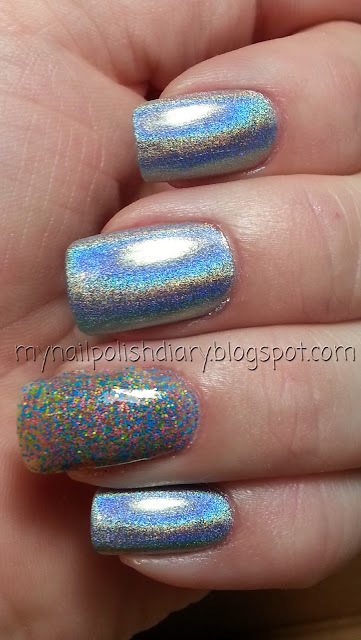 I've heard it works well with linear holos.